Mainsaver is one of the world’s longest-established and popular CMMS systems. Fully equipped with all the asset management, work order, PPM, stores and purchasing functions you would expect, with optional extras that include specialist modules to handle Calibration, Shift Event Logging and 21 CFR Part 11 compliance. SpidexWM is an easy-to-use web-based user interface, generally supplied as standard with every Mainsaver installation. It provides unlimited-user access to common CMMS functions so that work requests can be raised in a few seconds by personnel all around the site. 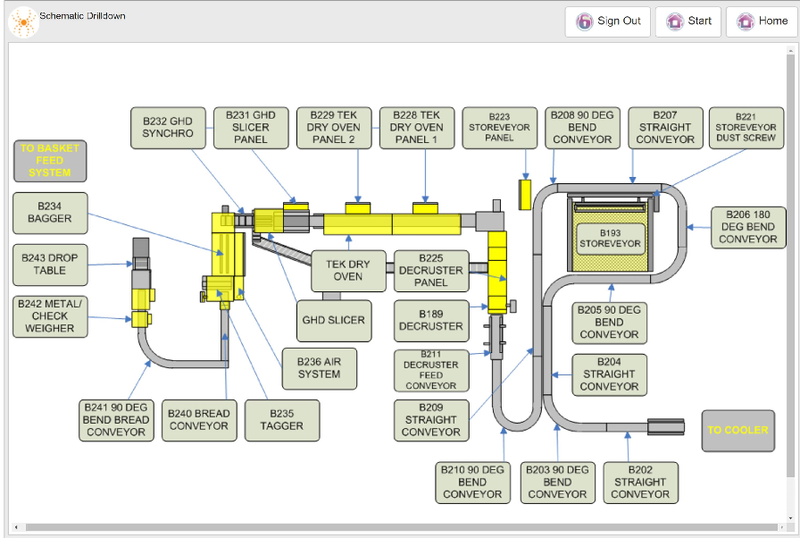 It can be deployed either on PC or touchscreen, so that schematic site layouts can be used to locate assets quickly. 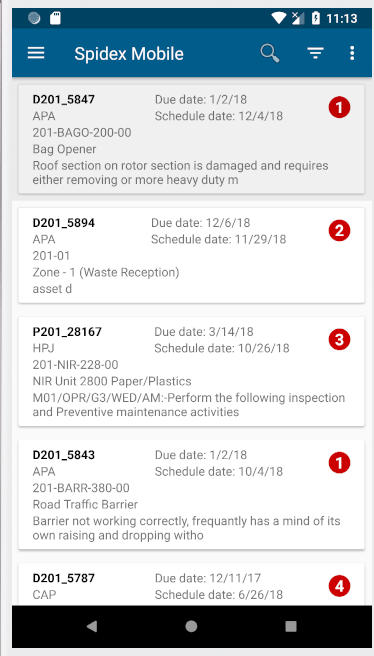 Mainsaver Mobile gives maintenance engineers the means to add, update and complete work orders in the field without having to return to a PC. Deployable on any smartphone or tablet, the module doesn’t even require a continuous network connection, as new data is stored on the device and then synchronised back later. 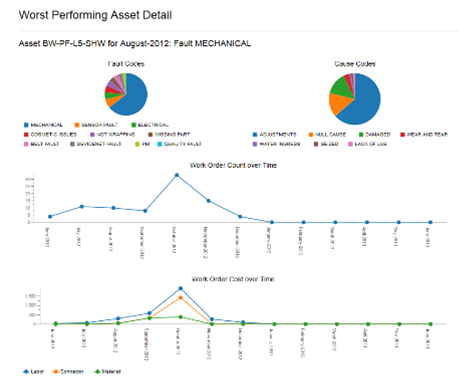 SpidexBI is a powerful web reporting module that delivers easy-to-read, real-time graphical dashboards that enable you to set, measure and monitor operational KPIs. It comes ready-equipped with a suite of standard engineering reports, with the facility to create your own if required. 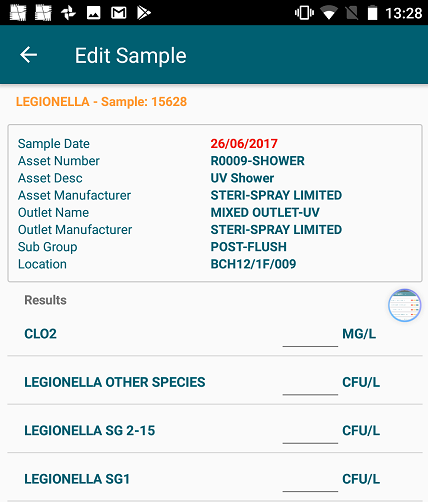 Spidex dRA (dynamic Risk Assessment) is a web-based, mobile-enabled module that prompts the engineer to complete a short configurable ‘yes-no’ checklist prior to starting on a job. This ensures that potential hazards are identified and mitigated, reinforcing the essential safety considerations on every work order. Spidex is the appointed UK reseller for Danish company Blackbird’s revolutionary production monitoring system Factbird. These remarkable standalone units require only a power supply, a connected sensor and can be installed in just one hour, independent of your IT network. Once activated, they start delivering live production data immediately, with key measures like operating rate, units produced and downtime causes all available. This data, stored securely in the cloud, can be accessed remotely at any time via PC, tablet or smartphone. Mainsaver Software Inc (the trading name of JB Systems) is a leading enterprise application software company based in San Diego, California. Each year the company produces at least one major software release, together with a number of smaller updates designed to improve general user experience. Mainsaver supports a worldwide customer base that includes manufacturing, power, pharmaceuticals utilities and chemicals. Microsoft is probably the world’s best-known technology organisation. Microsoft’s SQL Server database technology can be deployed with Mainsaver and all its auxiliary modules. Spidex has attained Microsoft Silver Partner status and our SpidexWM module has secured Microsoft accreditation for SQL Server compatibility. A number of Spidex personnel are Microsoft Data Platform specialists. Oracle supplies some of the world’s most widely-deployed database technology, with which Mainsaver and the Spidex auxiliary modules are fully compatible. Spidex is an accredited Oracle Silver Partner and a number of our personnel are qualified Oracle DBAs. Pentaho has developed the world’s most popular open-source business intelligence (BI) suite which is at the core of Spidex’s web reporting modules. Pentaho presented Spidex with a prestigious “Partner Of The Year” award for its development of the SpidexBI module. 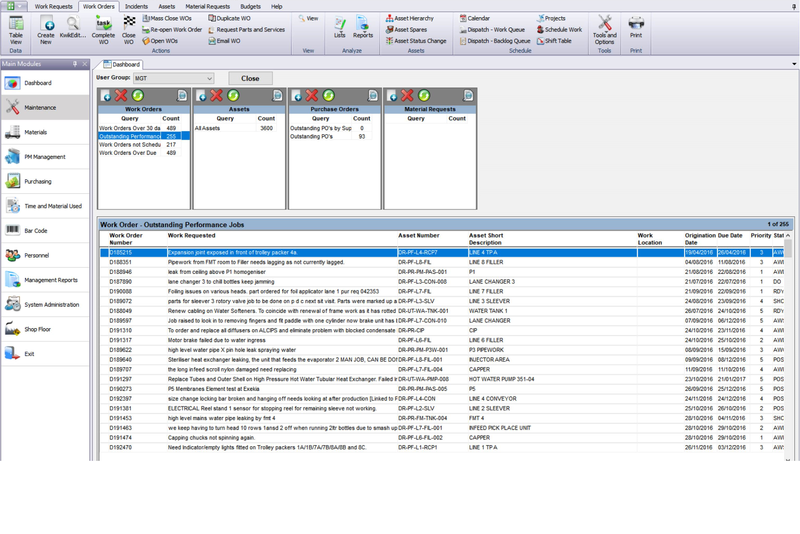 Spidex is the UK reseller for Blackbird production monitoring hardware. It takes less than an hour to install but gives you instant ‘anywhere’ access to real-time production data stored securely in the cloud. Looking for CMMS? We can help you.